Living in Canada, you are likely used to extreme temperature swings. Hot and humid summers, and bitterly cold winters, prompt the need for indoor temperature regulation to keep your home comfortable. Achieving indoor air comfort and quality is typically done with an HVAC heating and cooling system. You rely on your HVAC system to provide you with adequate heat in the frigid months, and the cool relief of air conditioning in the searing heat. Since this is the case for most households, calls for HVAC repair tend to ramp up at the onset of summer, as well as the beginning of winter. To avoid interruptions in your HVAC service, routinely scheduled maintenance is advised twice a year to keep your equipment running smoothly and efficiently. A tune-up before the summer for air conditioning and prior to the winter for your furnace can help you avoid scrambling for repairs when you are counting on your HVAC unit the most. How can I tell if my HVAC unit needs repair? There are various warning signs that can tip you off that it may be time to call in an HVAC professional. If your HVAC unit is having problems starting up, it is likely a problem with the ignition or pilot control. Modern furnaces no longer have a pilot light and therefore cannot be ignited manually. For the safety of yourself and your HVAC unit, it is recommended to let a professional handle any ignition issues. Your HVAC unit will be somewhat audible when it is running because the fan and blower make sounds when they operate. However, if you are finding your system to be exceptionally noisy, or if you are hearing strange whistling, squeaking, or rumbling sounds, then it is probably time for HVAC repair. Another good indicator that you are in need of some HVAC repair is if you have the thermostat settings cranked up, but you can barely feel any hot or cold air coming out the vents. Or, you feel air coming out, but the house is not reaching the desired temperature. This could be due to a few different factors, like a clogged air filter, thermostat issues, or maybe the unit is just not powerful enough to heat or cool the space adequately. HVAC units run in cycles, which typically include a significant amount of time running, and then a significant period of rest. If the system is resetting itself, with very short, quick cycles, then it could be a thermostat problem or possibly an issue with the power source. The thermostat is responsible for controlling the workings of your HVAC unit. A malfunctioning thermostat will affect the system’s operation and performance. If your energy bills are steadily on the rise, a possible culprit may be your HVAC unit. 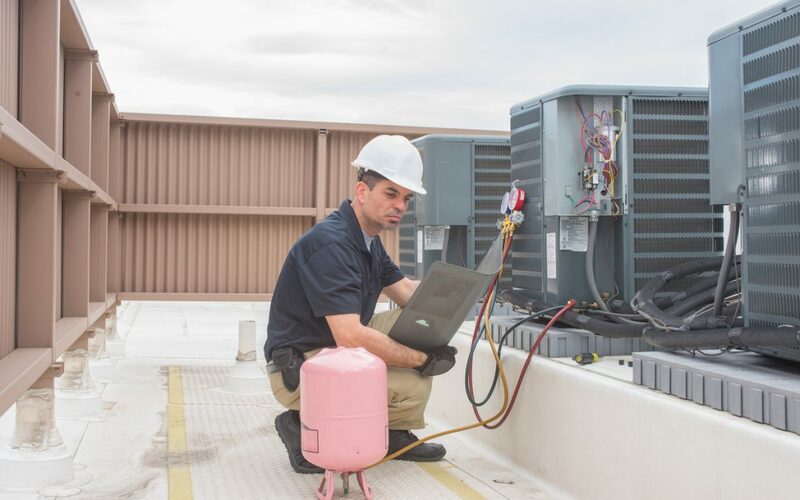 If the system is not running efficiently, it is time for HVAC repair or maintenance. Again, the HVAC unit should run in cycles. If the unit never stops, there is definitely a problem. Any apparatus that is powered by an engine or motor needs routine maintenance to keep it in good working order. Your HVAC unit is no exception. Regular maintenance is one of the best things you can do for your HVAC system. For HVAC repair and maintenance in the GTA, there is no better option than Air In Motion Heating & Cooling. The fully qualified and experienced HVAC technicians at Air In Motion can assist with all your home HVAC needs.